When you aren't going to stay on the beaten path, you should stay in these Danner 46112 Men's Country Camo Gila 6-Inch Optifade Waterproof Boots. George Washington didn't need roads to fight the Revolutionary War. He just walked up to a river, decided to cross it, ... (see full details) (see specifications) #DNN46112. When you aren't going to stay on the beaten path, you should stay in these Danner 46112 Men's Country Camo Gila 6-Inch Optifade Waterproof Boots. George Washington didn't need roads to fight the Revolutionary War. He just walked up to a river, decided to cross it, and showed the English soldiers what was what. But let's not forget that George Washington didn't act alone, and we know it because of the famous painting. He had help: he had a great pair of work boots. These shoes are forest-ready thanks to the Optifade open country camo styling. The 6-inch height creates a classic design, but the camouflage pattern creates a unique look. The Optifade camo is designed based on the visual capability of deer, elk, and similar animals. This makes you harder to see in their eyes when you wear this footwear. In addition these boys are equipped with Gavre rubber outsoles which are manufactured with a pentagonal lug pattern to create optimal surface contact. This design is especially useful in side hilling. Polypropylene shanks are integrated right into the shock-resistant soles to give your steps plenty of support. The uppers of this footwear are crafted with velvety Nubuck leather that feels like suede. It’s got the performance power of full-grain, which is just what feet need. That means the leather can withstand wind and weather wear, and it stays flexible even in ugly weather conditions. The rubber rand around the bottom protects the border between the leather uppers and the soles of these Nubuck leather boots. Nylon is integrated into the upper design, too. It’s breathable to release heat, lightweight to stay comfortable, and abrasion-resistant because you need to be able to go into the woods. Breathable Gore-Tex liners provide complete waterproof protection. The footbeds and midsoles are made with cushioning on top of supportive polypropylene boards. Polypropylene is a highly durable synthetic resin. The footbeds of these shoes are designed with impact-absorbent, open-cell polyurethane that promotes air flow even as it cushions steps. The footbeds stretch the entire length of your feet. The midsoles of these camo boots are made with polyurethane to add even more shock-resistant softness to the design. Use the speed hooks and lace system to keep the fit comfortable and feeling perfect around your feet. These Danner 46112 Men's Country Camo Gila 6-Inch Optifade Waterproof Boots won’t exactly turn you into George Washington, or anything, but they will make sure your feet can go anywhere they want to go. 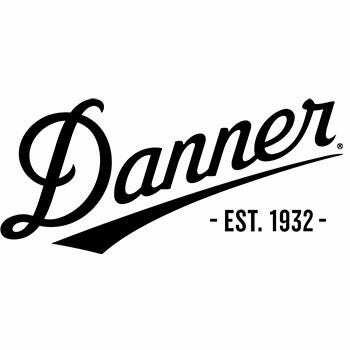 I've owned several pairs of Danner boots and I have never been disappointed. These boots are extremely comfortable. I typically trek 5-10 miles on my hunts and I've never complained about my feet hurting. Also, the Gortex liners are probably the best waterproof liners out there. Pair this with some gaiters and you will be nice and dry. Danner Boots: Men's 46112 Waterproof Nubuck Leather 6 Inch Camo Boots is being added to your cart.